I/O Ports – 2 x USB3.0/2.0, and HD Audio. Fan Controller – 2 fan controllers allow you to control up to 6 fans. 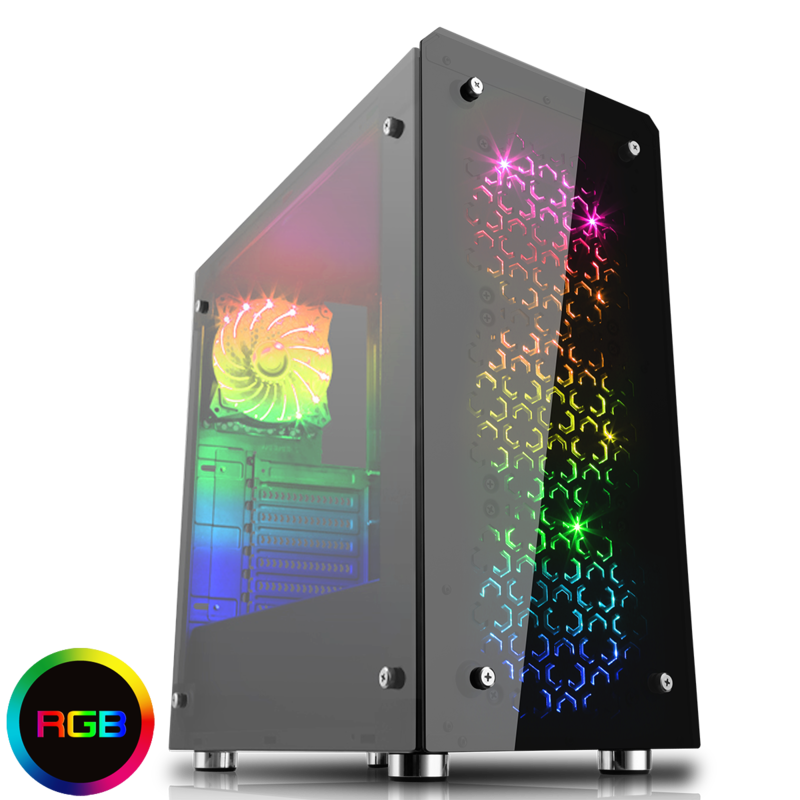 LED Button – An LED button at the top of the case allows you to change the colours of the RGB fans. Colours include Red, Green, Blue, Cyan, Yellow, White and Purple. 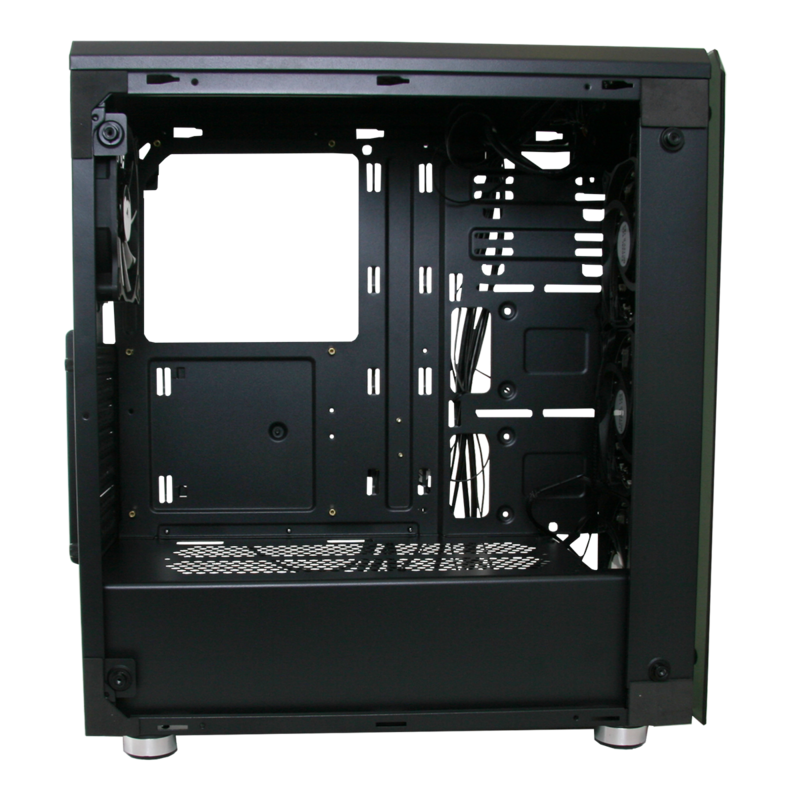 Water-Cooling Support – The front of the case supports a 240mm radiator and the back supports a 120mm radiator. 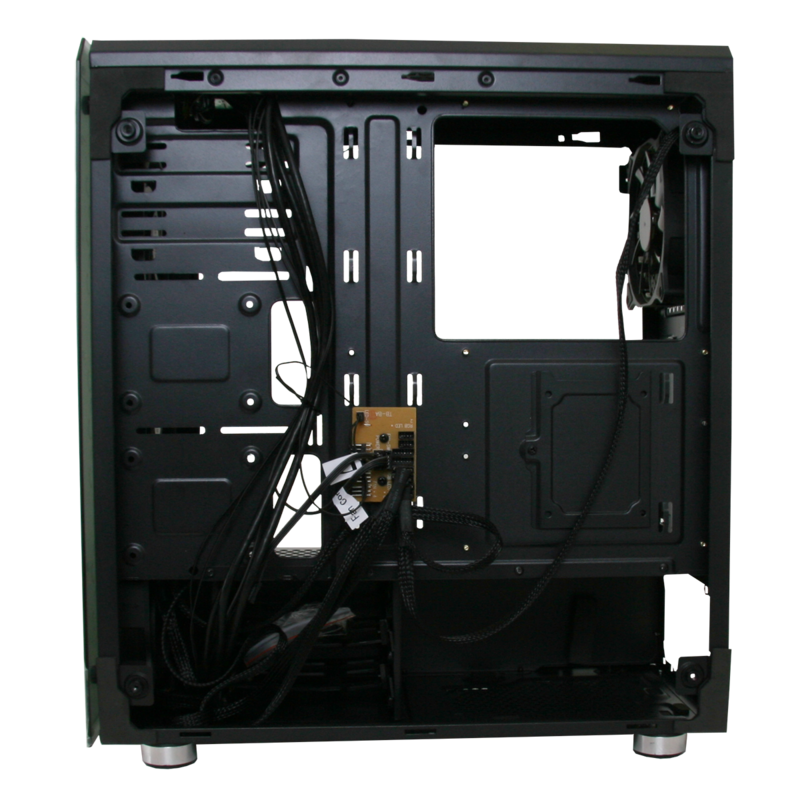 Fans – 3 x 120mm RGB fans on the front and 1 x 120mm RGB fan on the rear. 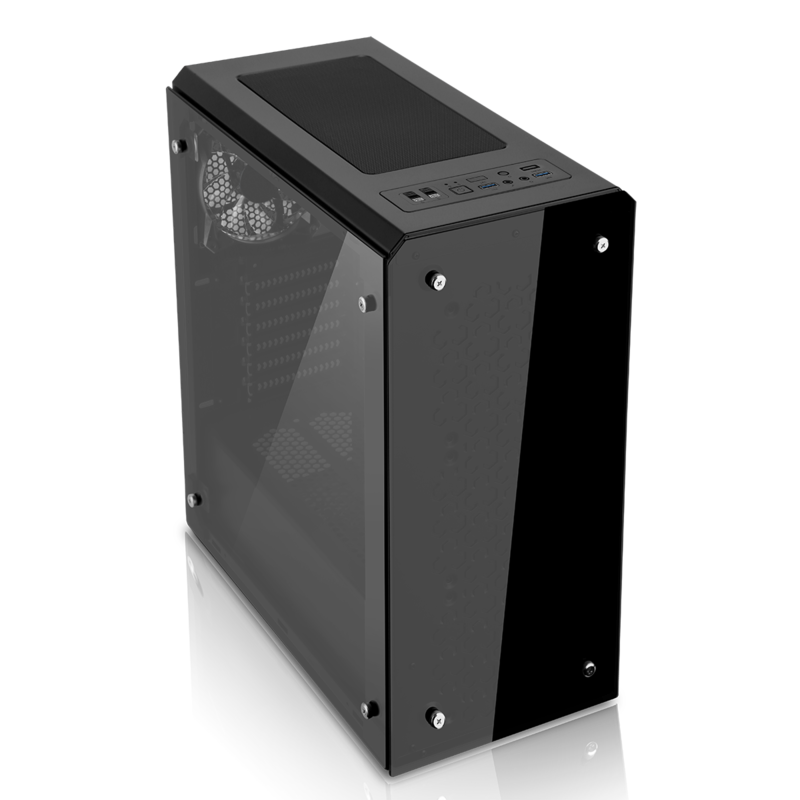 Tempered Glass Side Panels – Both sides of the case come with tempered glass allowing you to show off your internal components.